The cast will meet for the first read through this Thursday at 5:30 in the Annex (where we auditioned). Due to Easter Sunday holiday, we’re combining auditions for two different titles on one pair of dates this coming weekend. We’ll audition for BOTH The Shakespeare In the Park 2019 production of The Merry Wives of Windsor AND Season 2019’s Women in Jeopardy on Sunday and Monday, April 14 and 15. Sunday‘s auditions are at 2:30; Monday‘s are at 6:30. Merry Wives will audition in The Werlein Annex, Women In Jeopardy will audition in the VK Garage Theater. It is possible to audition for both titles. Choose one to start, and talk with the director while you’re there. Jessica Sturm, director for Merry Wives…, will be looking for a wide variety of actors of all ages. Rehearsals of Merry Wives of Windsor will begin about April 22nd, and performances are set in Louise Hays Park on June 7 and 8. Women In Jeopardy will begin rehearsal on May 6, with Tech Week beginning Sunday, June 9. Performances will be June 13 to 30 in the VK Garage Theater. Want more info? Start at Playhouse2000.com/auditions. 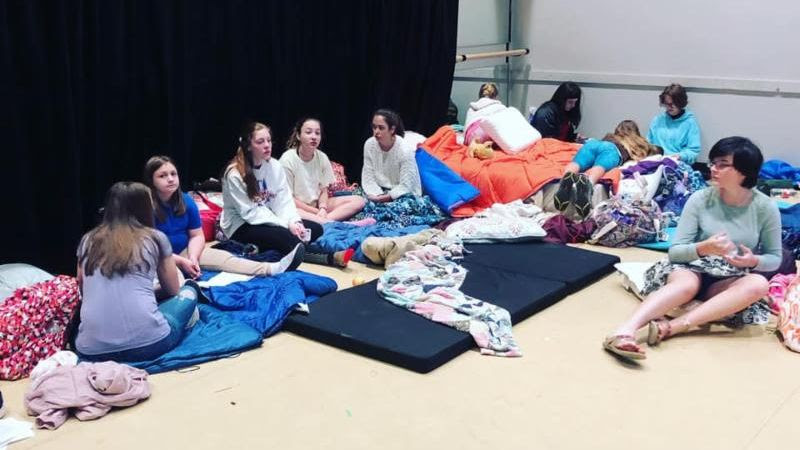 Many members of the P2K Youth Theater Program had a unique experience over Spring Break – a 24-hour project to create a fully realized play in one day! 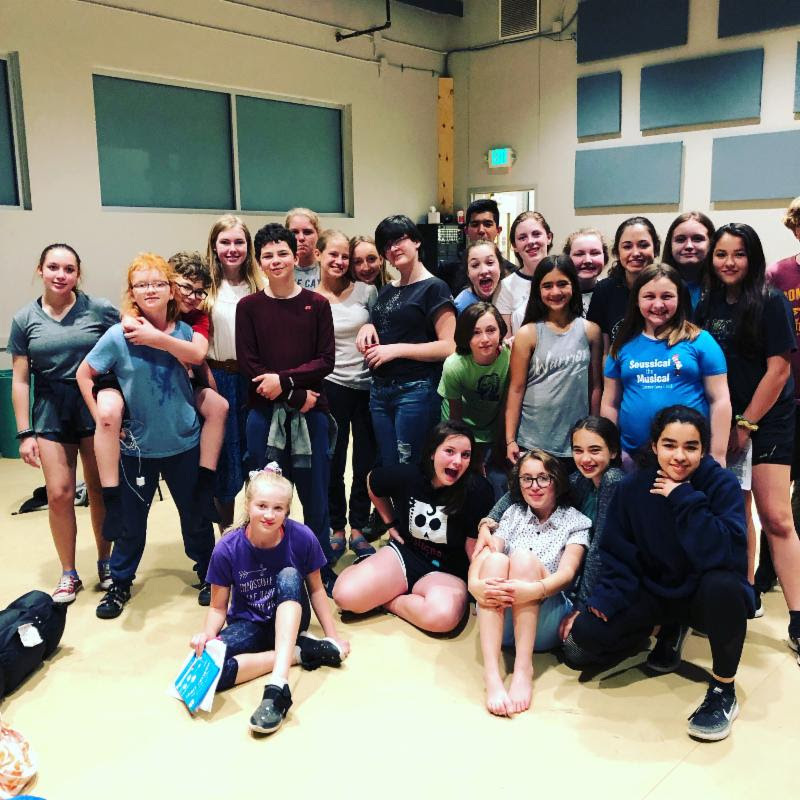 More than 20 young people arrived at the theater on Monday at 7:00 pm prepared to spend the night working toward a performance of Stephen Gregg’s witty and timely one-act This is a Test. 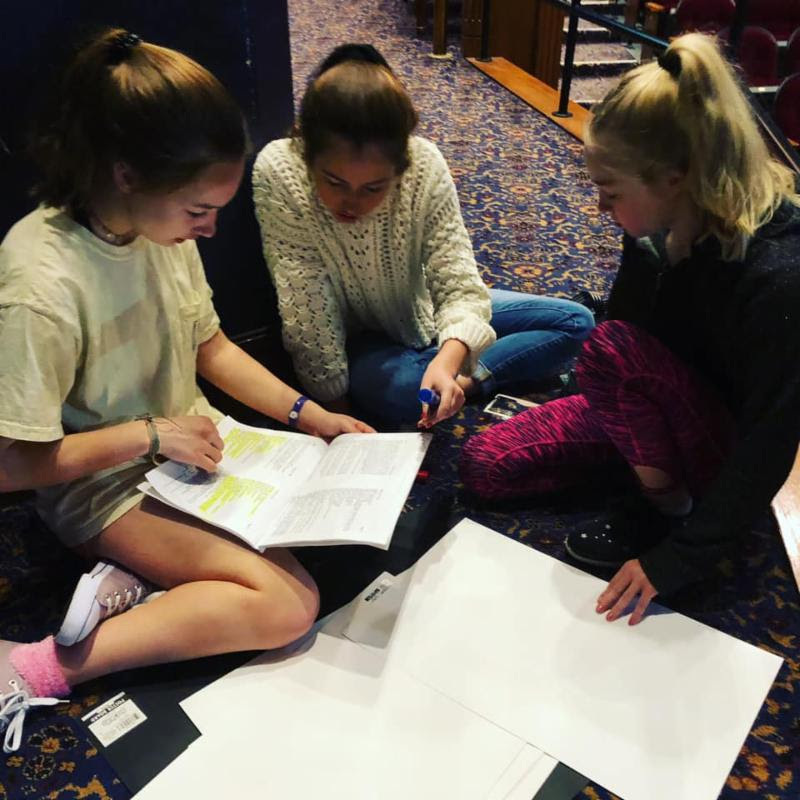 assigned the parts, created sets and props, designed costumes and lights, learned their lines, and raised the curtain on a performance for parents, friends and supporters. Just another example of outstanding experiences provided by the folks at Playhouse 2000! Many thanks to the parent volunteers who helped make this happen, and to our Youth Program leader, Sarah Distel. Playhouse 2000’s entry in the bi-annual AACTFest One-Act-Play competition, Tennessee William’s The Pretty Trap, traveled to Baytown last weekend to participate in the State-level festival known as Tex-Fest, and we enjoyed some real success. Most importantly, we were one of two plays selected from the field of 12 to represent Texas in the next round of festivals – the five-state Region VI, which includes Texas, New Mexico, Arizona, Oklahoma and Louisianna. We’ll travel to Midland, Texas for the Region VI Festival the first weekend in May, where we’ll have the opportunity to vie for the single available invitation to the National AACTFest in Gettysburg in June. We offer thanks to the cast and crew: Amy Goodyear as “Amanda,” Jeremy Sosaas “Jim,” Laina Lowry as “Laura,” Jacob Grona as “Tom,” Stage Manager Heather Cunningham, Tech Director Nick Boland, and crew Treston Mack. We’ll perform the play locally one more time before we head out. Watch this space for details. P2K and Schreiner Theatre and Music: Footloose Opens Next Week! We’re just one week away from Opening Night of the P2K/Schreiner joint production of the feel-good musical Footloose! The show’s three-weekend run starts on Friday, March 29. Based on the movie of the same name, Footloose relates the story of “Ren McCormack” (Arnold Alaniz) who is transplanted from Chicago to mythical small town of Bomont, where laws have been passed to protect the local citizens from the evil influence of dancing. There, he meets the power behind the laws, “Shaw Moore” (Rob Ward) and his rebellious daughter, “Ariel” (Olivia Merritt) and learns the tragic history behind the restrictions. With determination and a bit of human insight, Ren works to heal Bomont’s broken heart and return joy to the lives of its citizens. When it ran on Broadway, Footloose earned four “Tony” Award nominations, including Best Score and Best Musical, and launched both a Broadway run and multiple national tours. It’s bound to be a favorite for you, too! You can enjoy Footloose, The Musical starting Friday, March 29th for three weekends. Get reservations in advance (tickets are $22 and $27 – all children/students just $15 in all sections) by clicking HERE, or avoid online convenience fees by calling the Box Office at (830) 896-9393. P.S. We still have a few seats available for our famous “Opening Night Dinner” on March 29, featuring a themed menu created by our friends at Rails, A Cafe At The Depot. Dinner AND the show just $57 per person. Call (830) 896-9393 to make reservations. 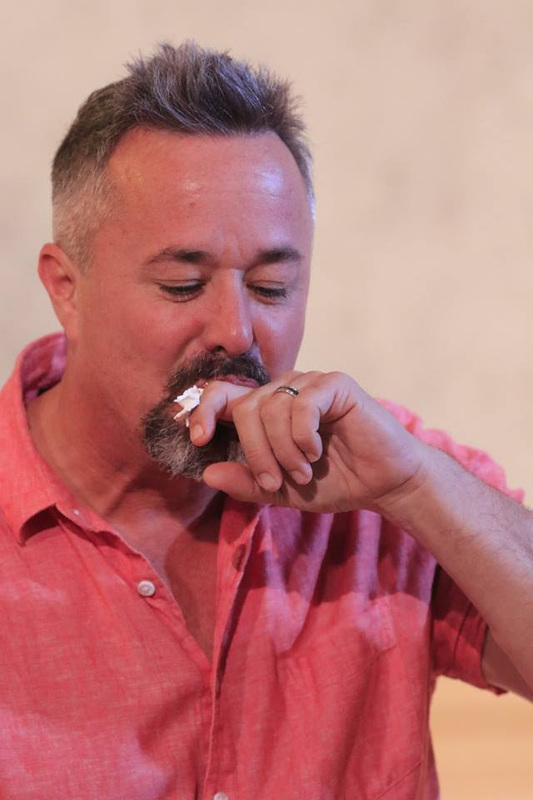 Texas Nonprofit Theatres hosted their Quad III One-Act-Play Festival at The Cailloux Theater on Saturday, February 2nd. Your Playhouse 2000 was one of four companies vying for a chance to represent our portion of the state at TNT’s “TexFest” over Spring Break. We were honored to be one of the two plays selected to advance, alongside the Bastrop Opera House production of Helium. These were then joined by productions from Boerne Community Theater and Bulverde S.T.A.G.E with “Wild Card” advances. P2K’s entry at Quad Fest is a little known sketch titled The Pretty Trap which was created by Tennessee Williams while he was working on the play that would become the masterpiece The Glass Menagerie. The cast includes Amy Goodyear as “Amanda Wingfield,” Laina Lowry as “Laura,” her shy daughter, newcomer Jacob Grona as son “Tom,” and Jeremy Sosa as “Jim,” the Gentleman Caller who changes everything. The Stage Manager is Heather Cunningham, and the production was directed by Jeffrey Brown. 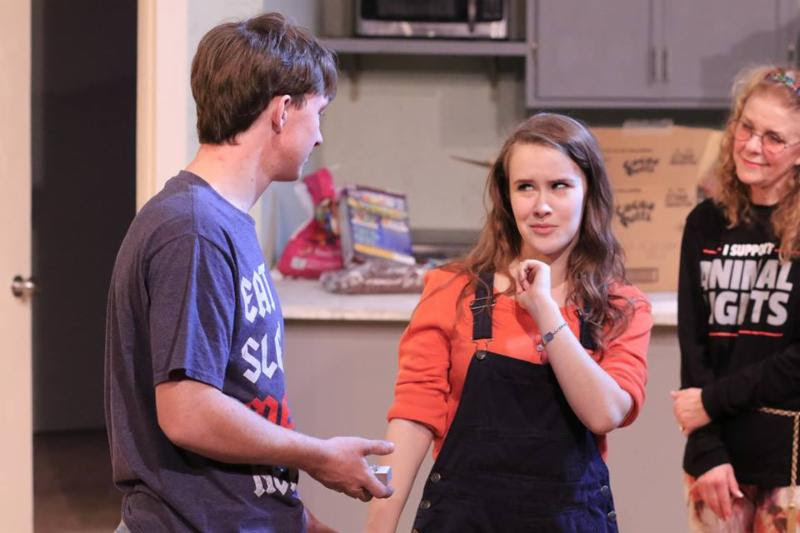 The new Romantic Comedy playing in the VK Garage Theater enjoyed enthusiastic full houses when it opened last weekend. Shows concludes this weekend. The play is just what the doctor ordered for everyone to enjoy in February, and makes a perfect addition to all Valentine’s Day plans. by Syndey Blain and Colton VanFossen, take the big step of moving to a new city and getting their first apartment together, the love and wisdom of their parents – and parents’ parents – add to the wacky situations that arise to make their moving day truly a day to remember. This cast of seven – which also includes Barbara French, Dana Williams, Carl Schupp, Brian Schuyler, andJustin Radkiewicz – have wonderful comic sensibilities and natural stage chemistry that makes Things My Mother Taught Me a funny but warm evening that is leaving audiences smiling all the way home. You have just three more chances to see this show in the VK Garage Theater now through February 17. You can make sure that you don’t miss it by calling the box office for reservations, or clicking HERE to get started. CAST ANNOUNCED! Thank you to everyone who made the FOOTLOOSE audition so exciting! I know the show we create together will be just as much fun and full of energy! We will gather for a first meeting on Friday, February 8 at 6:30pm in the Werlein Annex Studio (enter the door under the porch in the low building just beside The Cailloux Theater.) We’ll get to know each other a little bit, talk about rehearsal rules, and get you measured for costumes. We’ll also pass out rehearsal materials and/or take your order for books that you can mark up. Thanks again to all, and congratulations! 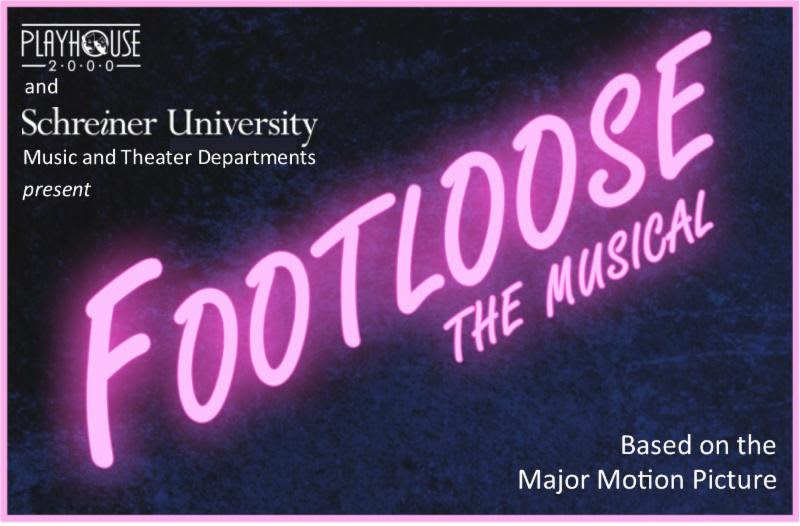 Actors, Singers and Dancers of ALL AGES are invited to join P2K and Schreiner University as we present the fabulous Rock-n-Roll musical Footloose, based on the amazing motion picture starring Kevin Bacon. Plan now to join us on Sunday or Monday, February 3rd or 4th in the Cailloux Theater. Sunday at 2:30 (you’ll be done in plenty of time to attend that Super Bowl party) and Monday at 6:30. Dress to move, and bring sheet music to your prepared song if you’re looking for a named role. All roles are open, and the cast will include roles for ages from high school and up. For details on roles available and audition preparation, click HERE.